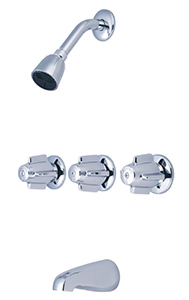 8" Center Three Handle Tub and Shower Faucet with Cast Brass Body Assembly, Copper Sweat Unions, 1/2-inch IPS brass tub spout and shower head, arm and flange. 8" Center Three Handle Tub and Shower Valve with Copper Sweat Unions, 1/2-inch IPS & slip-on combo tub spout and shower head, arm and flange. 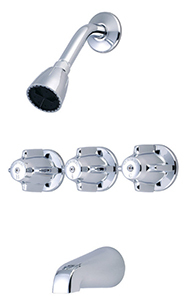 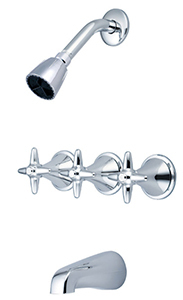 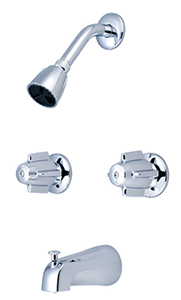 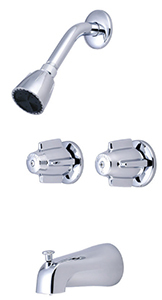 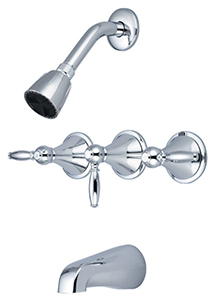 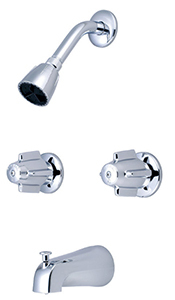 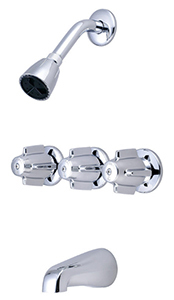 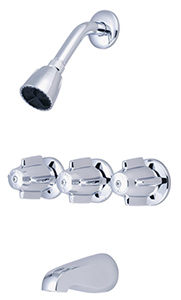 11" Three Handle Tub and Shower Faucet with Copper Sweat Unions, 1/2-inch IPS tub spout and shower head, arm and flange.